Stay up to date with all that's happening this week! We've lots of information on activities below. what website resources work well for maths? 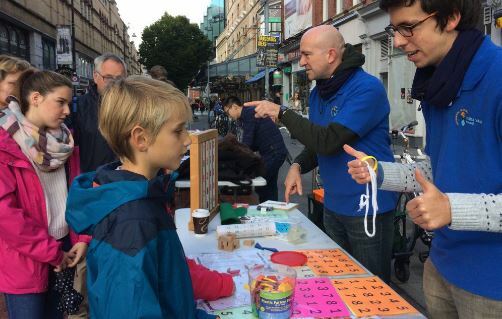 Maths Week has got off to a tremendous start with loads of events in Dublin on Saturday! Maths in the City engaged thousands on Grafton Street and St Stephen's Green and in parallel Maths Minds took place in the Fitzwilliam Hotel for the primary and secondary teachers. A great day of problem solving took place with a variety of presenters was followed with a presentation of the inaugural Maths Week Ireland award for Raising Public Awareness of Maths to Prof Des MacHale. Following this the Maths Week team went to Mallow Maths and Science Festival and the Hamilton Walk. Now the team is headed to the four corners of Ireland where they will be delivering events. The team will come together again in Belfast for Maths in the City at the Ulster Museum next Saturday and finish with Celebration of Mind at the Botanic Gardens Dublin. In the meantime schools will be doing great things and many of them have been shared on Twitter. Tweet with #mathsweek2016 and/or #Iusemaths and we will retweet. Also make sure you have registered onhttp://www.mathsweek.ie/2016/schools/schoolsmap so we know that your school is participating!. To make sure you don't miss anything in your area or online check out a snapshot of some of the remaining events below or check out our full calendar of events atwww.mathsweek.ie. Be part of Maths Week 2016 and help to raise the awareness and appreciation of maths! Want to go to a Maths Week event from the comfort of your own classroom? How about an event in South Africa? We are delighted to announce that we have teamed up with Living Maths in South Africa to bring you a Maths Week event toyour school! Living Maths will broadcast a live maths show, especially for Maths Week, for 9-12 year olds at 10 am Tuesday morning. All you need to do it visit www.livingmaths.com and follow the link on their homepage (that will be live tomorrow morning), sit back and enjoy the maths! Join us outside the Ulster Museum for Maths in the City Belfast this Saturday 12 - 5 and on Sunday at the Botanical Gardens in Dublin from 12 - 3. Guarantee to see out Maths Week 2016 in style and with lots of fun for all! A new initiative from Maths Week is to build a maths map. That is a map that will show places of mathematical interest. We are looking for schools and the public to mark up any relevant places in their area or that they visit. This could include a place where there is a maths activity (such as a maths trail) /where maths is done (such as a university maths department) / birthplace of a famous mathematician / something in the built or natural environment with mathematical significance. Click here to mark the maths in your area! It's not too late to register for Maths Week and make sure you're in with a chance to win some great prizes! 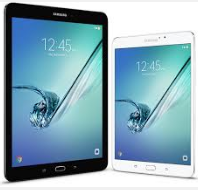 Register your school and be entered into the draw to win one of five Samsung tablets - yes it really is that easy! Click here to register your school now and place it on the map. Izak9 are revolutionising the teaching and learning of maths in Ireland and byregistering your school you will also be entered into a draw to win a set of Izak9cubes. Yes that's right - two draws just for registering your school! 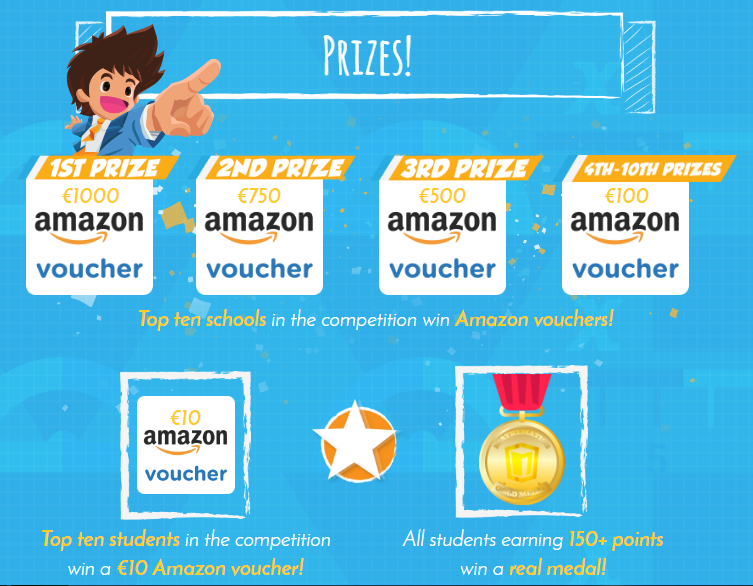 Mangahigh offers the most engaging online maths resource for use in a primary and secondary school environment and once again Maths Week have teamed up with them to offer schools this free competition. Sign up to take part in Manga Highthis year and win Amazon vouchers for your school! Have you got Maths Eyes? This competition is open to everyone including schools, families and the general public. Go on - take a look around you and capture the maths that you see! How many pupils can you get to do Simultaneous Equations Simultaneously in your school...?! Click here to sign up and download your Simultaneous Equations pack now! Have you downloaded the Problem Solving pack for your class yet?Click here to download them now! For you tweeters out there, Maths Week has teamed up with Twiznight to offer a fast-paced, entertaining Twitter based quiz. Maths themed questions will be the focus of this fun quiz so make sure you follow @twiznight and @mathsweek to learn more. We have already had the first Twiznight and many congrats to both of our winnners @OneOfManyDans & @LauraKDigital who won fantastic prizes. 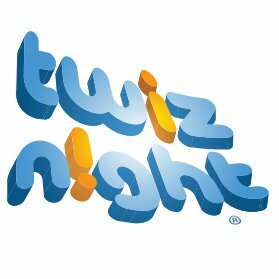 The second Twiznight will take place on Tuesday 18th October. It's fun and it's worth tweeting and taking part as the prizes for this year's quiz include Google Chromecasts and Tablets! 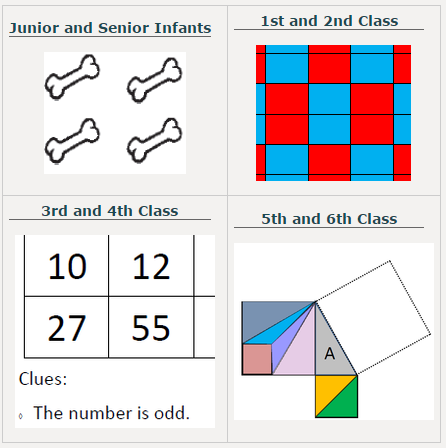 Follow their daily brainteasers and puzzles for Maths Week and respond via @PDSTNumeracy @ScoilnetPrimary for your chance to win a set of PDST numeracy handbooks.